The propaganda from the Office for National Statistics claims, falsely, that you must fill in your Census Form, so that the Government can "plan" the doling out of taxpayers' money for new hospitals or schools etc. The last 2001 Census and the mismanagement of public finances thereafter by the then Labour government, proves that this is claim is simply untrue. However, in a time of budget cuts, due to the financial disaster caused by Gordon Brown and his Labour party colleagues, it is more likely that Census Information will be used to "justify" cuts in in budgets and services by the current Conservative / Liberal Democrat coalition government. Anybody who believes that, for example, answering Question 13 "How is your health in general", will somehow magically lead to an increase in funding for their local National Health Service is utterly wrong. It is was technically illegal to complete your Census Form and send it by post or via the internet, before Sunday 27th March 2011, despite the Office for National Statistics propaganda. This year's Census, unlike previous ones, no longer has absolute legal protection from the demands by other Government departments and agencies (including foreign government agencies) for the Sensitive personal Data which the Census Form requires. 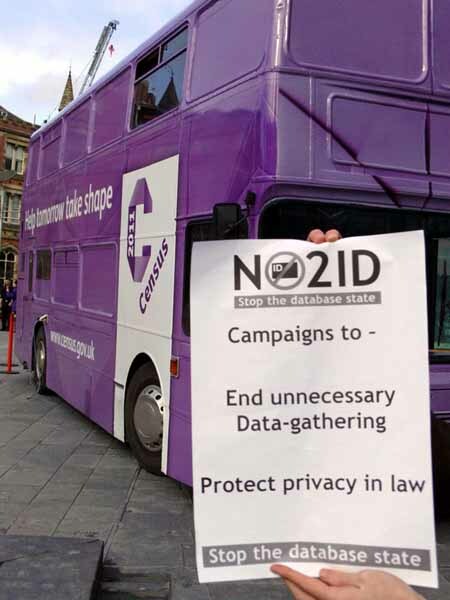 It is not that the Office for National Statistics will willingly compromise your individual privacy and security, they no longer have any legal powers to prevent individual or mass database trawling and copying by other Government agencies. It is actually the British government which is more of a threat to your personal privacy and security, than the involvement of Lockheed Martin, the US defense contractor, a division of which is the prime contractor in this year's Census (they also did the 2001 Census). Why make it easier for them to put your privacy and security at risk ? Here are some suggestions for civil disobedience or just traditional British bloody mindedness when faced by bureaucratic red tape, or for pranksterish lulz, short of an outright refusal to comply with filling in the Census Form and returning it, under the threat of a criminal record and a fine of up to £1000. Data Protection Act 1998 section 10 Right to prevent processing likely to cause damage or distress. If enough people can cast doubt on the statistical validity of the Census, because of civil disobedience caused by its intrusive, security risking questions and the lack of legal assurance of absolute confidentiality from other government departmental snooping and data trawling, then perhaps then next Census will be radically shorter, simpler and less expensive. Continue reading Civil Disobedience or lulz with the 2011 UK Census Form. When you get your Census Form, it will have an Internet Access Code which will authorise your access to the system and which will be used in the Questionnaire Tracking Database to see if you have completed the Census Form or not. To be fair to the ONS, they do appear to have at least set up reasonably secure SSL / TLS encrypted web forms. Which do seem to have "A rated" Digital Certificates and webserver configurations. These are not the best in the world, but comparable with most online banking systems. only gets a [B 76] rating, because it still allows weak 56 bit single DES encryption as a choice of cipher. Therefore nobody should use a public WiFi Access Point e.g. in a cyber café etc to fill in their Online Census Form, especially if they do not fill in all of the form in one session, and leave it partially completed online to come back to later. There does seem to be a minor spelling mistake: "Forth" instead of "Fourth" in a label in the HTML source code to the first page where you enter this Internet Access Code. Did they really check this system properly ? Whether this website will fail to stand up to the strain of millions of simultaneous request, just like so many other previous Government websites have failed, remains to be seen. Compared with the paper Census Form, there will be no ability to deliberately leave any of the Questions blank (apart from the voluntary one on Religion). The Independent newspaper is owned by by Alexander Lebedev a former KGB spy who was for a time on active service working at the Soviet Embassy in London. Somehow he does not attract as much "foreign controlled media" hysteria as his commercial rival the the Australian born US citizen Rupert Murdoch. I must set the record straight on three points about the safety of the census information (letter, 23 February). First, it is not true that EU legislation allows for census information to be shared with EU member states. No personal census information has been or will be provided to EU member states or EU institutions; only statistical tables and counts will be provided. Nobody is talking about the anonymised statistical tables and counts, provided that they are really anonymised and cannot be used to identify small groups or individuals when cross referenced with other public or private data sets. We want to see proof that the Office of National Statistics and the Statistics Board have always refused (since 2007) and will continue to refuse (for the next 100 years) any Demands or Orders for our Personal Information from Police Forces or Intelligence Agencies etc. e.g. from the Serious Organised Crime Agency (SOCA), which, having absorbed the former National Criminal Intelligence Service, acts as the clearing house for Mutual Legal Assistance Treaty requests from foreign police forces from all over the world. Second, it is not true that raw census data may be acquired by the police, intelligence agencies, immigration authorities etc under the Statistics and Registration Services Act. More weasel words. Nobody has ever claimed that the Statistics and Registration Services Act 2007 actually introduces new legal powers "the police, intelligence agencies, immigration authorities etc " to "acquire" our Sensitive Personal Data - they have hundreds of Acts of Parliament and thousands Statutory Instrument regulations which already give them such legal powers. Until 2007 individual officers and bureaucrats were discouraged from doing so by, the threat of being personally liable for a criminal penalty of up to 2 years in prison. That all changed with the vast range of Exemptions which which were sneaked in to the Statistics and Registration Service Act 2007 section 39. Confidentiality of personal information, which does precisely the opposite of its title, it removes any legal protection from snooping on individuals or data trawling in support of mass surveillance database systems. Instead of protecting the public, this section 39 only protects bureaucrats from prosecution for betraying our Census Data, no doubt with the best of intentions, but nevertheless still betraying it. The UK Statistics Authority and the Office for National Statistics will never volunteer personal information for any non-statistical purpose. Very commendable, but insufficient for us to trust them with our data. They can be legally compelled to do so. If disclosure is sought, we will always refuse to allow it, and will contest the case to the maximum extent possible under the law, using each stage of appeal in the courts if necessary, to ensure statistical confidentiality. More weasel words and a waste of public money on lawyers and courts. Labour's repressive and over-complicated terrorism, police and financial laws etc. have been deliberately worded to abuse words like "all" or "any", without restrictions in scope, which leave Appeal Court Judges no leeway whatsoever to apply proper proportionality and common sense to find in favour of anyone challenging them. If the Office of National Statistics and the Statistics Board still had the legal powers of the old Census Act 1920, then they would simply be threatening to criminally prosecute the "police, intelligence agencies, immigration authorities etc" if they attempt to gain access to our Sensitive Personal Data collated by the Census. The fact that they are only vaguely promising to "contest the case to the maximum extent possible under the law, using each stage of appeal in the courts if necessary," is an admission that their former legal powers to preserve confidentiality have been crippled. Third, it is not true that the US Patriot Act could give the US government access to personal census data. Under the contractual and operational arrangements, no employees of Lockheed Martin UK or of its US parent or of any other US company will be able to access personal census data. All of the data processing is done in the UK and all of the data will remain in the UK. There are some groups of people organising protests against this Census simply because of the involvement of Lockheed Martin, a massive US military defense contractor which also happens to own subsidiaries which do non-military work for governments around the world as well. The US Government could easily pressure Lockheed Martin to allow, for example, undercover CIA agents or foreign born intelligence assets, to be recruited into the core UK Census staff, because, as prime contractors, they will have full access to the CV's of all of the key technical and managerial people working on the project, regardless of the fact that they will be employed by nominally UK based companies. clearly shows, Lockheed Martin will retain the technical ability to introduce spyware or to gain total access to the personal Census Data, if they wanted to. Assist with the installation and testing of system and application patches as directed by client's technical Rapid Response Team, RRT, based in the USA. Is it just a coincidence that much of the rest of the 4th Floor of the Cottons Centre, on the south bank of the River Thames, between London Bridge and HMS Belfast, is taken up by Control Risks, a Security / Risk company which employs many UK ex-military and intelligence services personnel ? Will these spooks / ex-spooks have physical and electronic access to UK Data Capture Ltd. offices and electronic communications ? Or will these also be swept up as "interesting" collateral information by the commercial rivals and foreign government agencies who are spying on Control Risks activities ? UK Data Capture was formed by Vangent and Edexcel in 2007 specifically for the UK census, which will take place on March 27. Its financial structure means that data handled by staff is not subject to the US Patriot Act. Under the Act, introduced a month after 9/11, the US security services are able to demand data under the control of American companies or even simply accessible to them, if they believe it could help fight terrorism. Accordingly, Vangent Ltd - a wholly-owned subsidiary of its US parent company of the same name - has a 49 per cent shareholding in UK Data Capture, while Edexcel has a 50 per cent holding. The remaining one per cent is held by a business consultant. The company is sub-contracted by Lockheed Martin UK, a subsidiary of another American firm, which is in charge of managing the census. The [ONS] spokesman added: 'UK Data Capture is a UK-controlled and registered company. Vangent is a minority shareholder and therefore UK Data Capture is clearly not a subsidiary of a US company. This arrangement was put in place to ensure that the Patriot Act cannot apply. Guess where Vangent has its offices ? It is also on the 4th Floor of the Cottons Centre ! This does appear to be a deliberate attempt to pretend that the US PATRIOT Act does not apply, whilst glossing over the vast range of UK "national security" legislation which now can be used to force the ONS to share our Sensitive Personal Data with organisations who were previously forbidden from getting access to it. However, regardless of any "Spooks" scenarios, the real risk of the vast US Government bureaucracy getting its paws on our Personal Census Data is via its daily contacts with UK police forces, intelligence agencies and Central Government Departments. Continue reading Indy Letters page - Glen Watson confirms lack of Census 2011 confidentiality legal powers. Census 2011 - snooping on your place of work, even if you are a secret agent etc. where the Office for National Statistics reiterate their bureaucratic desire to snoop on your job / workplace address. self-employed or freelance without employees? 34 What is (was) your full and specific job title? 35 Briefly describe what you do (did) in your main job. 36 Do (did) you supervise any employees? 37 At your workplace, what is (was) the main activity of your employer or business? 38 In your main job, what is (was) the name of the organisation you work (worked) for? 40 In your main job, what is the address of your workplace? These will not be contentious questions for many people, but for tens of thousands of people, the existence of such a National Database will represent a threat to their personal security or a threat to national security. Key personnel who have access to the controls to the Critical National Infrastructure e.g. senior staff at a nuclear power station etc. Pharmaceutical Research and Development scientists harassed by animal extremists. All of these groups and others, normally attempt to keep their Home Addresses or the fact that they work for a particular organisation secret, due to real or imagined threats to their personal security. The insistence by the ONS on "full and specific" Job Titles, Employers Address, Location(s) and Post Code(s) etc. effectively tags such personnel to foreign intelligence agencies, crime gangs, terrorists and to stalkers within the bureaucracy. Her Majesty's Prison Woodhill, Milton Keynes, - MK4 4DA high security prison with Muslim terrorist suspects and convicted terrorists. high security prison with IRA / UDA convicted terrorists. These Census 2011 Questions even fall foul of the former Labour government's controversial "thought crime" legislation e.g. This applies to current and former members of the armed forces, police constable and members of the intelligence services, even ones who have been dismissed from service. Section 58A is as yet untested in the Court, however section 58 has been used to send several people to prison who had only collected some personal Information about one single soldier, so it must also apply to those who seek to collect, collate and concentrate such "potential death list" data on all of the people in the UK whose occupations put them and their families at real or imagined risk of violence from foreign spies, serious organised criminal gangs or terrorists. Both sections have a "reasonable excuse" defence, but that only comes into play after your life has been ruined by being arrested (possibly at gunpoint in a dawn raid, where there is a real risk of getting shot), photographed, fingerprinted and DNA sampled, then charged under Terrorism legislation, thereby blacklisting internationally you for the rest of your life, even if you are acquitted or the charges are dropped. If the hundreds of thousands of people in the categories listed above are not prosecuted for refusing to fill in a Census Form, or for not filling it in as accurately or as fully as the Office for National Statistics demands, then why should any of the rest of us be forced to do so either, if we feel strongly about particularly intrusive Census Questions ? Businesses throughout England and Wales are being asked by the Office for National Statistics (ONS) to make sure that their employees know the postcode of their place of work so that they can record it on their 2011 Census questionnaires in March. Knowing their workplace postcode is a key piece of information that feeds into the overall picture of life in England and Wales. Details of where people live, where they work and how they travel to their place of employment provide important statistics for transport planning and other strategic decisions. The address and postcode of the employer is one of a number of questions contained in the census questionnaire about jobs, place of work, hours of employment and methods of travel to work. Answers to these questions help to build a profile of the economy of England and Wales and provide the foundation for other labour market and economic statistics published by ONS. Note that the ONS makes no provision for simply filling in, say only the first 4 digits of the Post Code, which would be more than adequate for such planning purposes,. Why should we let them be so unnecessarily intrusive ? In the 2001 Census, nearly 8 per cent of questionnaires did not include a workplace postcode. In some parts of the country, the figure was as high as 18 per cent and large number of calls were taken by the census contact centre from people who were unsure about their work address. 8 per cent must be about 2 million questionnaires. How many of those people were prosecuted for not filling in a "workplace postcode" ? Possibly none of the 38 prosecutions since 2001 were only for this. Deputy 2011 Census Director, Pete Benton, said, "While everyone is likely to know their own postcode at home, many won't know the postcode of their workplace. "As well as asking for an employer's name, the questionnaire also asks for an address and postcode. While the internet makes it easier to look it up, not everyone has access to the web so we are asking all employers to make sure that their staff have the right information to enable them to complete this section of the questionnaire." As well as underpinning the planning of public services, census statistics are also used extensively by the private sector. Information on such things as the skill and age profile of the workforce and where people live can help businesses to decide where to place new offices, factories and other places of work and what training they need provide for their employees. So that would be the very definition of "excessive data collection" then: the collection of extra detailed information which is not directly relevant to an individual's daily life. Dr Adam Marshall, Director of Policy at the British Chambers of Commerce said, "Businesses need this information to be able to make the right investment decisions. Census statistics can affect plans for business expansion and new industry, so it is worth making sure staff know their postcodes before completing these surveys. From a purely selfish, profit centred, perspective, why should an established business make it easier for new competitors to start up, or for old ones to expand ? All the relevant information about home addresses and work addresses is already known by the Government regarding the vast numbers of people who work in the public sector. Each Government department could collate and anonymise and transparently publish this information about itself on its own website or on a shared transport planning website. "Having the right transport infrastructure in place is part of this overall picture and something as simple as making sure that your employees know their workplace postcode can really help this process." Previous Census data has not succeed in producing "the right transport infrastructure", in the past, due to all of the other political and financial factors, so why should it be any different with the Census 2011 ? There is an unacceptable cost to personal privacy and security, because the Census Questions are too detailed and too intrusive . The Office for National Statistics has issued a misleading Press Release which seeks to allay the understandable public fears about what the risks are to their Sensitive Personal Data in regard to the involvement of he massive United States defence contractor Lockheed Martin. The management executives of Lockheed Martin are obviously in no position to refuse any requests for demands for confidential UK census data data by US Government agencies, out of patriotic duty and for fear of threats to their huge multi-billion pound US Government contracts. The Office for National Statistics (ONS) carries out the Census in England and Wales. ONS is using a number of specialist companies to provide specific services for the census. The contract for processing the census questionnaires is not with the Lockheed Martin USA.It is with Lockheed Martin UK which is a UK based subsidiary. The contract was awarded in August 2008 to Lockheed Martin UK as it offered the best value for money in an open procurement scheme, carried out under European law. There is an exemption under European competition law for public contracts which allows Governments not to open tenders to foreign companies, for systems which have "security" implications. The contract has created around 1,500 jobs in the UK. The contract is for £150 million, so that is £100,000 per job created in the UK. Surely there are much cheaper job creation schemes than that ? Concerns expressed about the possibility of the US Patriot Act being used by US intelligence services have been addressed by a number of additional contractual and operational safeguards. These arrangements have been put in place to ensure that US authorities are unable to access census data. Is the Office for National Statistics really so technically incompetent that it cannot analyse its own webserver logfile statistics ? All data is the property of the ONS and only UK/EU owned companies will have any access to personal census data. No ! It is our data as individual citizens and residents of the UK, it does not belong to the the ONS ! It is intolerable for the ONS or any other Government department to falsely claim exclusive ownership of people's names or addresses or familial relationships or religious beliefs or any of the other answers to the intrusive Census Questions. Which part of "Only I Own My Own Name" etc. do these bureaucrats not understand ? The only people who have access to the full census dataset in the operational data centre will be ONS staff. What about partial census datasets rather than "the full census dataset" ? What about once data is copied and sent out of the "operational data centre" ? What about the Approved Researchers ? No Lockheed Martin staff (from either the US parent or UK company) will have access to any personal census data. Surely Lockheed Martin staff will have access to the census form optical character reading software and databases ? That is not in itself, any guarantee that your Sensitive Personal Data will not be copied and shared without your consent. 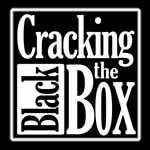 Existing law already prevents the disclosure of census data - it is a criminal offence to disclose personal census data and is punishable by a fine and/or up to two years in prison. This gives the misleading impression that somehow our Sensitive Personal Data can never be handed over individually or in bulk to anybody else apart from ONS staff. N.B. none of these organisations should be allowed to have access to Census Data, if the idea of the census is to be comprehensive and inclusive of those groups in society who have every reason to fear and distrust the bureaucracy. All census employees and contractors working on the census sign a declaration of confidentiality to guarantee their understanding and compliance with the law. What exactly is the text of this "declaration of confidentiality" ? Independent checks by an accredited UK security consultancy of both physical and electronic security are carried out for ONS. Which "accredited UK security consultancy" has been given this contract ? Will any mainstream media journalists bother to question the ONS about these issues, or will we have to do it instead ?